In my last post I looked at the Raftery family who fled to Stafford from Kiltullagh, Co. Roscommon, during the Famine, and particularly at the sad life of William Raftery. This week we look at a second but unrelated Raftery family. They came from Co. Galway and they finally settled in Stafford in the 1870s, a point which emphasizes how Irish immigration was a long drawn out process. These new arrivals were three Raftery brothers, Michael (b. 1836), James (b. 1842) and John (b. 1848). In the 1881 census John Raftery stated precisely where he was born – Glenamaddy in Co. Galway. Glenamaddy was a very small town in the north-east of the county and in the 1850s Thomas Raftery held just one acre of land on its northern outskirts – plot 17 on the Griffiths Valuation map. Another relative, Timothy, held plot 1 on the map in partnership with two other men. Their land amounted to nearly five acres. The three brothers who settled in Stafford may have been sons of one these men. They had clung on after the Famine but were existing in desperate poverty on these minute holdings. They lived in the heart of the area which exported many of Stafford’s Irish settlers and the Raftery brothers had many connections in the town before they finally settled there. Raftery land holdings in Glenamaddy, 1856, from the Griffiths Valuation survey. They came to the Stafford district as early as 1862. At the beginning of September that year James and John Raftery were with a group of harvest workers who got involved in a fracas at the Greyhound Inn, Yarlet, to the north of Stafford. James was accused of assaulting a policeman, and the chairman of the bench ‘warned the prisoner and his fellow countrymen that they must not import that form of brutality into this country or they would be severely punished.’ He was fined 40s plus costs or one month in jail. The three Raftery brothers presumably continued to come to Stafford for harvest work during the 1860s and they seem to have finally given up in Ireland and settled in the town around 1874. In doing so they left the land and worked as bricklayer’s labourers. Michael Raftery had married a woman called Margaret in Ireland, and they came with two surviving children, Matthew (b. 1861) and Michael (b. 1867). James and John arrived as single men, but they both married within a year and their marriage relationships were somewhat unusual. John Raftery married Margaret Hart (b. 1853) at St Austin’s on 29 September 1874. Her father, Anthony Hart, was a Famine immigrant from Co. Galway. He worked as a farm labourer and almost certainly came from the same district as the Rafterys. More intriguing is the fact that Anthony Hart’s wife, Margaret’s mother, was Bridget Raftery! We know this from her sister Mary’s baptism record. It seems that in Margaret Hart John Raftery was marrying a close relative, though how close it is impossible to say. John and Margaret Raftery set up house at 10 Snow’s (or Red Cow) Yard, the notorious slum court we have visited previously in this blog. Snow’s or Red Cow Yard in 1880 from OS 1:500 plan 37/11/7, Stafford Borough. Note the Red Cow pub at the entrance with its malthouse and brewery behind the houses. The following year (1875) James Raftery married Margaret Hart’s sister Mary. It was not Mary’s first marriage. Her first in 1869 was to a cowman, John McCormick, who in 1861 was working at Highfields farm outside Stafford. He must have decamped or died in the early 1870s and Mary tried again with James Raftery in 1875. It seems the couple then lived for a time in Manchester since their first child, Bridget, was born there in 1875. They settled back in Stafford shortly afterwards and moved into no. 11 Snow’s Yard next door to John and Margaret. On numerous occasions down the years they were all involved in fights, drunkenness and ‘Irish Rows’ in the yard and around the Red Cow pub at the entrance. These immigrants had replaced the poverty of rural life in Ireland with an impoverished urban existence in England from which the only relief was drink. Their houses, thrown up in backland near the River Sow in the late 18th century, were overcrowded and squalid, and in these conditions trivial incidents rapidly escalated into violence. They were living the same brutalized lives as thousands of other poor Irish – and British – families in Victorian Britain. Most of the conflicts were purely within the Snow’s Yard community but in 1902 Margaret was convicted of assaulting George Collins, a bailiff, in the Maid’s Head Vaults. She struck him twice in the face and ‘accused him of robbing poor people’. With good reason – he had taken goods from her four years previously under a distress warrant, presumably for non-payment of rent. The landlords of Snow’s Yard were notorious for charging high rents for lousy properties and tipping people out on the street with no compunction. The Red Cow pub photographed around 1900 when it had been renamed the Falcon. The building dated back to the 17th century and was inherited by Justinian Snow in 1765. He built Snow’s Yard was down the entry to the left. (Picture courtesy of the late Roy Mitchell. Details from J. Connor, The Inns & Alehouses of Stafford, Part 2 (2014). John and Margaret Raftery’s later life continued to be unstable, one symptom of which was frequent house moves. They got out of Snow’s Yard in the 1880s and lived in other slum houses in Stafford’s north end. They may have spent some time in Derbyshire since their son John was born there around 1887 but that was clearly a temporary move. In 1901 they were living at 75 Greyfriars, still close to Snow’s Yard. In September that year John Raftery was given a month in the gaol with hard labour for ‘a cowardly wife assault’. He made a savage attack on his wife who ‘had not taken proceedings against him before and did not wish to press the case now as he had promised to behave better in future’. That exposed the violence taking place within the family as well as outside it. John failed to turn up in court and the magistrates were clearly unimpressed by his wife’s cowed explanation. In the midst of such family stress John and Margaret brought eleven children into the torrid world of Snow’s Yard but six failed to survive infancy in such conditions. Margaret (b. 1880), Agnes May (b. 1884) and John (b. 1887) went on to marry but the subsequent whereabouts of Bridget (b. 1893) and Annie (b. 1895) are unknown. John married Jane Burton in 1913 and most of the people in Stafford today who retain the Raftery name are probably their descendants. Margaret Raftery was aged around 66 when she died in 1918, a reasonable life span given the ravages of pregnancy, drink and stress. John Raftery was still alive at that time; it is not known when or where he died. John and James’s brother Michael Raftery had died in 1880 – he didn’t survive long in Stafford. His widow Margaret seems to have remained there with her two children for some time but nothing more is known about them except that Matthew (b. 1861) died in Stafford Workhouse in 1916. James and Mary Raftery went on to have at least nine children, of whom only four survived to adulthood. By 1901 three of them, Harriet (b. 1877), Mary Ellen (b. 1881) and Agnes (b. 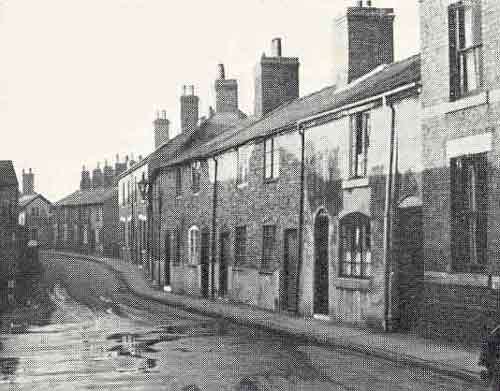 1883) had moved to Manchester and were living together in the Openshaw district. This suggests the family continued to have relatives or contacts in the city dating from the 1870s when James and Mary had been there. The move to Manchester got these young women out of their miserable Snow’s Yard environment. Agnes and Mary Ellen worked in a pickle factory, and Mary Ellen married George Adams, a railway worker, in 1907. They went on to have a number of children and in 1911 were living in Wolverhampton. The subsequent history of James and Mary Raftery is unknown – they did not live in Stafford – but Mary finally died in the town in 1924. The Galway and Roscommon Raftery families lived separate but parallel lives in Stafford. By no means all Stafford’s Irish immigrants conformed to the stereotypical picture of Irish refugees, but the Rafterys in many ways did. Forced to leave Ireland, they struggled to make a living in the harsh world of Victorian England. They relied on casual manual work to keep body and soul together. They could afford nothing but the worst housing, and they often had to move from place to place; there was little stability in their lives. Life was a struggle and it brought its share of petty conflicts and violence, both stimulated and ameliorated by drink. Nevertheless, as time went on and new generations grew up the Raftery descendants who remained in Stafford took their place in working class society and progressively intermingled with it. There ultimately was no relict Irish community in Stafford. The Rafterys were people of Irish descent who added their distinctive character to the evolving social mix that characterised even this small town in Midland England. The name of the town can be spelt in many different ways, both historically and even today. The common form is Glenamaddy but the Irish Ordnance Survey uses two ‘n’s. National Library of Ireland, Griffiths Valuation of Ireland, Parish of Boyounagh, Township of Glennamaddy (sic), printed 1856. There were other Raftery families in Ballyhard and Stonetown townships some distance from Glenamaddy. Although the baptism register for Boyounagh RC parish (covering the Glenamaddy area) reveals many Raftery baptisms in the 1840s the three brothers do not appear. A church baptism cost 2s 6d and it may be that these Rafterys could not or would not pay the fee. Catholic Parish Registers, Boyounagh Parish, Co. Galway, 1838-65, Ancestry database, accessed 22 March 2016. Birmingham Archdiocesen Archive, St Austin’s registers, Stafford, P255/1/2. Birmingham Archdiocesen Archive, St Austin’s registers, Stafford, P255/1/2. Mary Hart had been born around 1851 in Ireland, but the Harts must have moved to Stafford when she was a baby since she was christened at St Austin’s on 15 May 1851. Information from Maureen Jubb, September 2006. There is no record of McCormick’s death in Stafford but numerous men of that name died elsewhere in England during this period. The fact that James and Mary, as Catholics, married in the Register Office suggests they had something to hide. Stafford RD, marriages July-September 1875, 6b/26. Stafford Borough Council Burial Records, Vol. 11, no. 8742, 26 April 1918. Stafford Borough Council Burial Records, Vol. 4, no. 6920, 6 January 1880. In the 1881 and 1891 censuses her name is recorded as Margaret, but by 1901 she seems to have called herself Harriet. Ashton under Lyne RD, marriages, July-September 1907, 8d/1154. The marriage took place on 8 July. Stafford RD, deaths, April-June 1924, Mary Raftery, 6b/10. The last post looked at the miserable conditions in the Castlerea area in the thirty years before the Famine. This week we look at the ways in which people and families could deal with their poverty and helplessness. There were five main things they could do: emigrate, work in local trades, work in the public services, do seasonal work elsewhere or take direct action against their oppressors. Some people, of course, did more than one of these things. Emigration was the least popular option before the Famine, and local reports suggest few people left the Castlerea district for destinations overseas. The 1836 Irish Poor inquiry reported that the largest numbers were leaving from the land-hungry parishes of the grazing lands in Roscommon, but even here the biggest total in three years was only 50 from Tisrara and Taghboy parishes. In most of north-east Galway, south-east Mayo and north-west Roscommon ‘none’ or ‘few’ people had left, although 58 were noted from Dunamon in Co. Galway and 20 families from Tibohine in Roscommon. The 58 from Dunamon had been ‘assisted’ by their landlord, Sir George Caulfield. This was the only clear case of ‘landlord-assisted’ emigration reported in the whole district, and the people who left were ‘all of the poorer class’. It was not the general picture, however. Most of the poor could not afford the fare and many of those leaving were ‘of rather a decent description’ (Tuam), ‘a publican’s family’ (Kilmovee), ‘two families (Protestants) … of the class of small farmers’ (Estersnow and Kilcolagh), ‘pensioners’ (Kilkeevin) as well as ‘some tradespeople and a few of the gentry’ (Fuerty). Most of Castlerea’s overseas emigrants went to America, a few to Canada and in only one case was Australia mentioned. The evidence suggests that the Catholic, often Irish-speaking, poor were reluctant or unable to leave and that the emigrants came disproportionately from the relatively better off Catholic sub-tenants, farmers, artisans and small gentry, as well as Protestants. The picture does not seem to have changed much in the ten years before the Famine. The second way people could get out of poverty was theoretically by working in local manufactures, handicrafts or services. There was no industrialised manufacturing in the area. Work in the domestic linen trade would have been an option as late as 1820, but by the 1830s the flax and linen trade was dead. It was an example of the deindustrialisation that hit Ireland after the 1800 Act of Union. We saw in a recent post (28 July 2015) that Patrick Corcoran from Tibohine adopted the most feasible approach, that of getting a trade. He became a joiner and went to the town of Castlerea. It was still a pretty miserable existence, however, and in 1834 it was stated that, in Castlerea, people in trade were often forced to beg. The poverty of people in the area meant most could not afford the services of craft workers and the opportunities for escape that way were limited. A superficially good way off the land was to join the army or the police. This path meant, however, breaking with close knit family ties based on the land economy. Such individuals were forced to enter the ‘modern’ world of state organisation and control and they had to make a radical shift in basic attitudes and identities in the process. Given the British state’s colonising status and policies in Ireland, its servants recruited from the ethnically Irish population inherently faced conflicts between the value systems inherited from their family backgrounds and those from their new employers. Whilst, for some, service in the forces and police heightened their Irish nationalist identity and provided them with valuable military or paramilitary training, for most it was just a route out of poverty that meant acceptance of, or at least acquiescence to, the ideologies and rituals of the British Empire. We saw in a recent post (10 July 2015) how John Ryan had followed this route out of Ireland but had ended up in Stafford poverty-stricken and disturbed at the end of his army service. In 1830 42.2% of British army soldiers were Irish-born and typically they were Catholic, poor and from a rural background. Similarly, young single men could leave grinding poverty on the land by joining the police. The development of state power through the forces of law and order culminated in the founding of the Irish Constabulary in 1836. Before the Famine about sixteen per cent of the Constabulary’s recruits came from Connacht – from areas like Castlerea – and the majority were Catholic farm labourers. Recruitment to the police meant both leaving the land and leaving the district, since they were not allowed to serve in their county of birth to divorce them from the influence of local relatives and associates. In many cases men who started in the Irish constabulary subsequently moved to the new forces in Britain, the Empire and America. ‘there are 1,320 families in this parish; I may say all of them poor. One and sometimes two men out of each of the most of these families go periodically to England or to Leinster, but more frequently to England, to obtain employment’. In Kilkeevin (covering Castlerea) ‘hundreds leave their dwellings’, whilst in Templetogher and Boyounagh, Co. Galway, about 700 went away ‘of whom 300 go to England in harvest time’. The picture was similar in adjacent parts of Co. Mayo, where, for example, correspondents from Kilcolman, Kilmovee and Castlemore reported substantial numbers going to England. 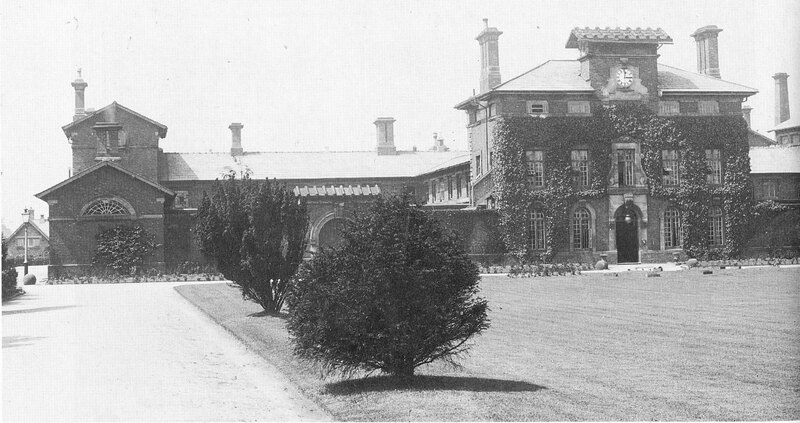 These were men like Michael Byrne who, in the summer of 1841 lodged in the stable loft at a farm in Baswich near Stafford, Moses Cummings in the poultry house on Ingestre Estate or Dominick Dooly, John Gallagher and Michael Mullony in barns in Hopton parish. Patrick Featherstone from Ballintober almost certainly arrived in Stafford in the same way. Having planted their potatoes they would set off in time to be in England for the hay and grain harvests. Most walked to Drogheda or Dublin, but on the way back some with money in their pockets could use the packet boats of the Royal and Grand Canals from Dublin. Such extravagance was probably rare, however. Staffordshire, along with Cheshire and south Lancashire, was an attractive area to look for harvest work since it was relatively close to Liverpool. The county was but one of the many destinations in Britain to which such seasonal migrants went, but the connection with workers from the Castlerea area seems to have been particularly strong. A final reaction to the problems people faced was through direct and violent action. In the first half of the nineteenth century the Castlerea district saw a lot of rural unrest. In 1795 the Defenders, influenced by the United Irishmen, carried out acts of violence in Roscommon and it is clear the main issue was already rents and access to potato land. Between 1813 and 1816 agrarian secret societies – the Threshers and Carders – carried out attacks on landlords and middlemen, and the millenarian Rockite movement was active at the same time. The crisis conditions after the Napoleonic Wars produced the Ribbon uprisings of 1819-1822, and the parish of Moylough has been called the ‘nerve centre of Ribbonism’ in north-east Galway, partly because of the arrogant stance of the local land-owning rector, the Rev. John O’Rourke. There were significant Ribbon actions in Castlerea, Oran, and Tibohine during the same period. The adjoining districts of Co. Mayo were generally quiet during the Ribbonite uprisings, but increased poverty there in the 1829-31 period led to large assemblies of people gathering to protest over rent levels and the lack of conacre land. In sum, the Castlerea district before the Famine was a land of burgeoning poverty, misery and violence, and the desperate need to earn enough to survive forced many individuals and some families to leave the area either for seasonal work elsewhere or permanently. Many of the seasonal workers went to Staffordshire, some to the Stafford area, and the contacts built up there were valuable when the Famine disaster struck. ‘Some had received a little assistance’ in Roscommon parish, but from whom was not stated. Royal Commission on the Condition of the Poorer Classes in Ireland, 1836, Appendix F, questions 30-32. The number of beggars in Castlerea in 1834 was stated to be double that of ten years previously, partly due to the loss of the flax and linen trade. Parliamentary Papers 1835, Vol. XXXII Pt. 1, Appendix to the First Report of the … Inquiry into the Poorer Classes in Ireland, Baronial Examinations, Ballintobber Barony, Kilkeevin Parish, p. 511. In 1832 Weld wrote that at the Castlerea market ‘linen yard formerly sold in considerable quantity but with cessation of demand the supply stopped, Isaac Weld, Statistical Survey of the County of Roscommon, (Dublin, R. Graisterry, 1832), p. 480 and pp. 682-4. W.J. Lowe and E.L. Malcolm, ‘The domestication of the Royal Irish Constabulary, 1836-1922’, Irish Economic and Social History, XIX (1992), pp. 27-48; D. McCabe, ‘Law, Conflict and Social Order: Co. Mayo, 1820-1845’, Unpub. D. Phil. Thesis, University College, Dublin, 1991 (no. 5640), pp. 223-287. M.J. Huggins, “Agrarian conflict in pre-famine County Roscommon”, Unpublished D. Phil. Thesis, University of Liverpool, (2000), chaps. 1 and 2. Huggins, ‘Agrarian Conflict’, pp. 176, 160, 190 and 191. National Archives of Ireland (NAI), Outrage reports, Roscommon, doc. 25/19637, report of magistrate Matthew Browne to Dublin Castle, 17th September 1845. John and Elizabeth Kavanagh arrived in Stafford in the 1850s. They were not in the town at the time of the 1851 Census, but they claimed their first child, Ann, was born there around 1853. There is, however, no record of this in Stafford and the Kavanaghs illustrate how, even in this age of accessible digital data, it can be very difficult to trace the history of migrant people who were often illiterate, had little idea of their exact age, had surnames open to a variety of spellings and who, in any case, sometimes ignored the legal niceties of registration. Even so, the outlines of their lives can still be followed. John was an agricultural labourer who had been born in Ireland in the 1830s. We have no precise evidence of where he came from in Ireland but it is likely to have been the Roscommon/Galway/Mayo area from which many of Stafford’s immigrants came. The birthplace of his wife Elizabeth is also uncertain since in 1861 the couple claimed it was Ireland whilst in 1871 they said Warrington in Lancashire. The birth dates of their children suggest that John and Elizabeth married in the 1850s, probably in England but not in Stafford. As a Famine immigrant, John could have met his wife in Liverpool in the course of moving from north-west England to the Midlands. In Stafford the couple lived in areas of substantial Irish settlement. In 1861 they were to be found in Plant’s Court, a slum in Forebridge. By 1871 they had moved to 52 Back Walls South, a gloomy area where many poor people lived including Irish immigrants. Back Walls South where the Kavanaghs had their lodging house. John Kavanagh worked initially as a farm labourer but later moved off the land and became a general labourer. The couple also made money from running a lodging house. The 1861 and 1871 Census returns superficially suggest their enterprise was rather unsuccessful since in each case the two lodgers listed in the dwelling were far outnumbered by the Kavanaghs own expanding family. More people crowded into the house at other times, however, since in 1867 the couple were convicted of ‘permitting three women and one man to sleep in one apartment (contrary to the bye-laws) which was a small one’. The Kavanaghs’ life in the slums of Stafford was probably pretty miserable although they raised at least six children there. Elizabeth Kavanagh had her last child, Mary, in 1871 but the baby died after only five days. Elizabeth herself must have been a weakened woman and though still fairly young she died sixteen months later in September 1872. Her death provoked a crisis in the Kavanagh household and some time afterwards John left Stafford altogether. By 1881 he was living in Liscard near Birkenhead with four of his children. He had apparently re-married. His new wife Ann was Irish and twelve years his senior, though no record of the marriage has been found. It was probably a transitory common-law relationship. Indeed, the family may have been on Merseyside merely waiting the opportunity to emigrate. Certainly, none of them was in England in 1891. It has not proved possible to identify their onward travel from the migrant records. The Kavanagh family pose, therefore, many problems in reconstructing their history. It is clear, however, that they proved to be long-term transients in Stafford. Although they lived in the town for about twenty years, they ultimately put down no roots there and there are probably no descendants in the district today. Their story conforms closely to the common but often rather stereotypical picture of mobile Irish emigrants whose remaining lives proved to be a battle against poverty and insecurity. The 1861 Census also lists their surname as ‘Kavan’, but they are clearly the same family as that shown as ‘Kavannagh’ ten years later. This seems to suggest that the 1871 return was the more accurate. A John Kavanagh married an Elizabeth Paton in Liverpool on 25 November 1856 (Ancestry, England: Select Marriages 1538-1973, it3, p. 114, no 228). It is known that Elizabeth’s name was probably Paton from the baptism records of St Austin’s Church in Stafford. A Paton family from Co. Roscommon lived in Stafford at that time so this may make the connection with John Kavanagh, though not definitively.